Founded on the belief that building materials should be both surprisingly functional and remarkably beautiful. Designed by Form Us With Love, the BAUX acoustic collections are constructed from wood wool and are produced from the sustainable forests which surround the factory. These wall treatments are available in a huge variety of shapes, sizes and patterns, as well as colours - allowing your imagination to run wild and create stunning interior designs. 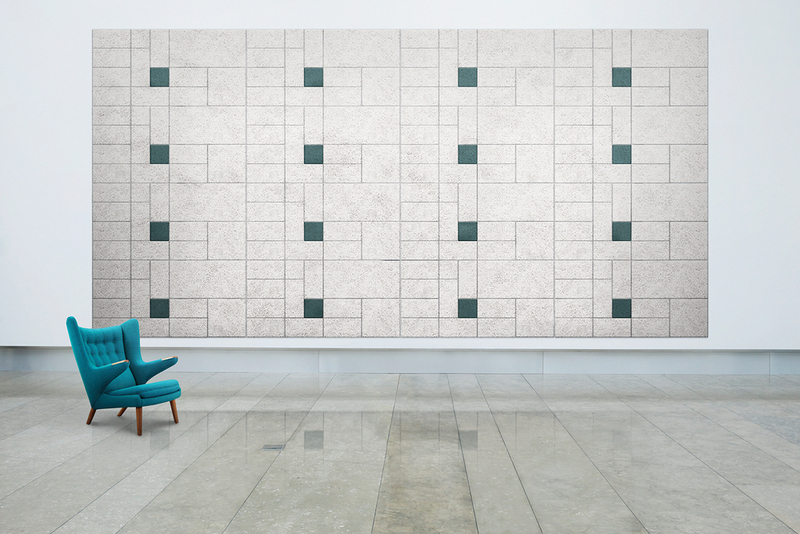 BAUX acoustic wall tiles and panels contain two of the world's oldest building materials - wood and cement bound as wood wool. The combination is simple yet ingenious. Wood fibres give the product a heat-insulating, heat retaining and sound-absorbing structure. Cement is used as a binding agent and provides strength, moisture resistance and fire protection. BAUX products are sound absorbent, have excellent thermal insulation and high thermal storage capacities, are proven highly resistant to fire, mould and rot, have high moisture diffusion, high air permeability and the capability of absorbing water molecules from the air.